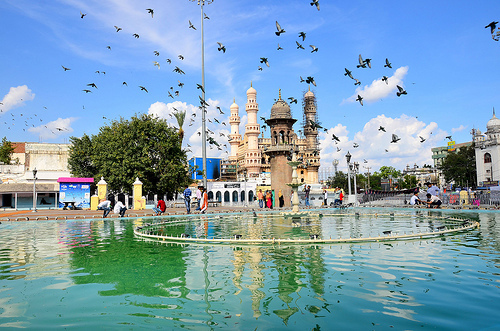 A good fare to Hyderabad, one of the largest cities in Southern India. 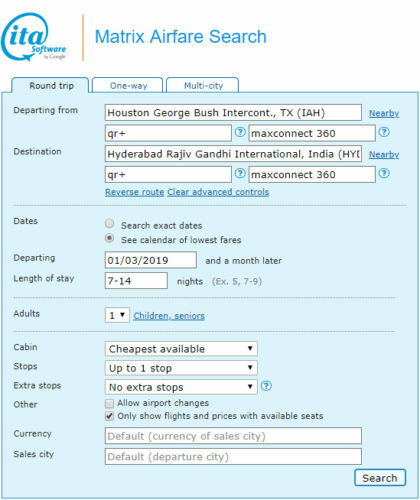 Valid for travel in January 2019 and from late-October 2019 – mid-November 2019 for Monday through Thursday departures and returns. A 7 day minimum stay is required. 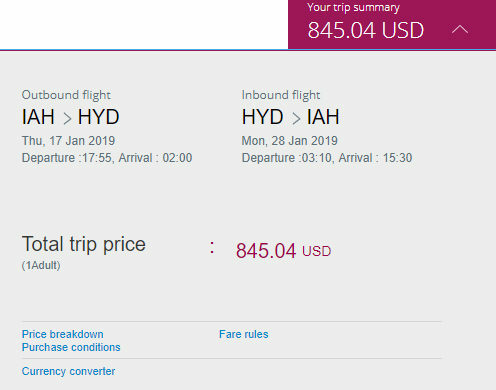 Must purchase at least 14 days in advance of departure and by January 3rd, 2019 — TODAY! Qatar Airways is a member of Oneworld Alliance and an American partner. Mileage earning with American is below.